High pressure over Nebraska is moving toward the Stateline. Skies will be mostly clear, and with calm wind and lots of low level residual moisture from recent heavy rains, fog will develop after midnight. Some of the for will linger through the early morning hours on Sunday, but the day will be mostly sunny and quite warm wtih a high in the middle or perhaps even upper 80's. The next chance of rain will be on Monday night. Lots of warm moist air will be interacting with fronts, disturbances, and outflow boundaries on Tuesday into Tuesday night that could result in significant raifall for the Stateline area. Things will start to dry out by late Wednesday, and the rest of the week looks like it will be dry. The entire week looks like it will have above average temperatures for this time of year. 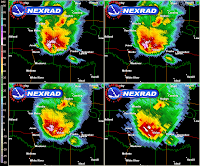 It's official...NOAA's National Climate Extremes Committe has declared a hailstone from a thunderstorm last week from a storm that rolled through South Dakota on July 23rd, to be the largest in diameter and the heaviest ever recorded in the U.S! 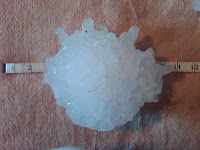 The storm that rolled through Vivian, SD produced an 8" diameter and 1.9375lbs (1lb 15oz) hailstone with a circumference of 18.62". The previous record holding hailstone was 1.67lbs found in Kansas in 1970. It also surpasses the record for diameter from a hailstone that fell in Nebraska in 2003, but that stone still holds the record for circumference of 18.75". More information and analysis on the storm can be found here. We've got a few holes in the cloud cover this morning and still a fairly dry atmosphere in place across the Great Lakes with dew points in the upper 50s. Heavy rain has fallen over portions of northern Iowa earlier this morning but as this system moves east the dry air will continue to evaporate the rain before falling. The southern edge of the showers will continue to move to the southeast along the warm front and should not have an impact on us. Rain is beginning to fall around Dubuque and can be expected in the Rockford area early this afternoon(assuming the showers hold together). Daytime heating ahead of a cold front currently moving through north-central Illinois has allowed storms to fire in Lee and DeKalb counties right along I-88. A Severe Weather Watch may be issued later today for areas south of Rockford. These storms will continue to move to the east/southeast with heavy rainfall and gusty winds. North of the front will remain dry, but muggy. Cold front sits through northwest Illinois at the noon hour with a few showers beginning to pop up along and out ahead of it. Showers will be possible through the late afternoon until the front completely clears the Stateline. We're not expecting anything severe with this line as that weather will remain to the south. Temperatures have risen into the mid 80s, but with dew points in the low 70s it actually feels like the low 90s. Once northwest winds take hold tonight, things will turn a little more comfortable by Thursday with highs in the low 80s. All that's left from a line of storms that produced severe weather in northern Wisconsin yesterday afternoon are a few showers moving through the Monroe area. Cold front sits just to the northwest of the Stateline and will continue to sag east/southeast through the lunch hour. Until it completely passes, we will keep the shower/storm chance going through the morning and early afternoon. Clouds are beginning to break some so one or two storms may pop before the front passes. Severe threat looks to be just south of I-88 today as the front will be moving through the Chicagoland area during the peak-heating hours of the day. Until it does pass, however, it's going to be pretty muggy out there! Portions of the Pecatonica and Rock rivers will continue to rise within the next day or so before falling back by the weekend. While the Pecatonica River has already crested in Freeport, it was still rising near Shirland in Winnebago county. The Rock river will continue a slow rise as flow from the Pecatonica river and upstream rivers in Wisconsin continue to feed into it. The Rock river has already crested in Byron and the Kishwaukee river near Perryville crested late Saturday night and continues to fall. With additional flow from the upstream portions of the Rock river now affecting the Byron location, the Rock river may cause a slight new rise. 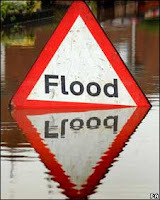 Click here for the latest river information. It was a month's worth of rain in only a matter of days that fell across the Stateline. Here is the 72 hour rainfall total map ending Sunday, July 25th. 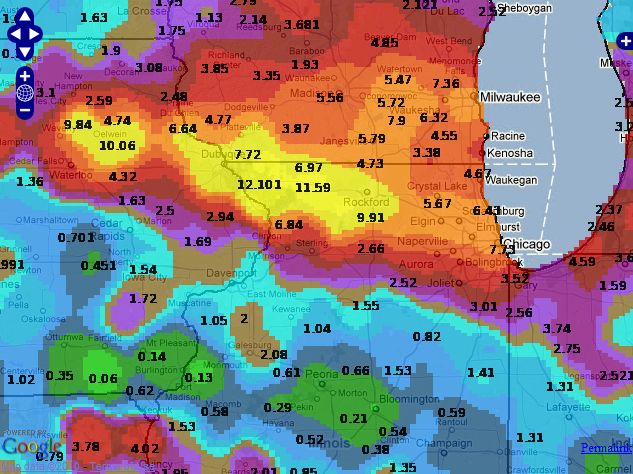 Just look at the swath of 10"+ rain that fell across north-central and northwest Illinois and into Iowa. What was once a deficit in the rainfall department has now put us over 5 inches of what our montly average should be!! We are sitting at 9.09" for the Chicago/Rockford International Airport. Heavy rain along and north of Highway 20 between Waterloo, IA and Dubuque, IA late last week resulted in record flooding on the Maquoketa River and Lake Delhi (also called Hartwick Lake). The record river flood levels were too much for the dam on the south side of Lake Delhi and it gave way shortly after 1pm Saturday. Check out KCRG-TV for the latest. Flood Warnings continue for Rock and Green counties in southern Wisconsin and Stephenson, Winnebago, Ogle and Whiteside counties in Illinois. Most rivers have already reached their height and are now forecast to slowly fall back below flood stage through this upcoming weekend. The Pecatonica River which reached 16.15 ft over the weekend (flood stage is 13 ft) will continue to drop. The same for the Kishwaukee River which crested at 18.18 ft late Saturday (flood stage is 12 ft). The only exception will be the Rock River which is expected to crest within the next day or so before falling back below flood stage through the weekend. 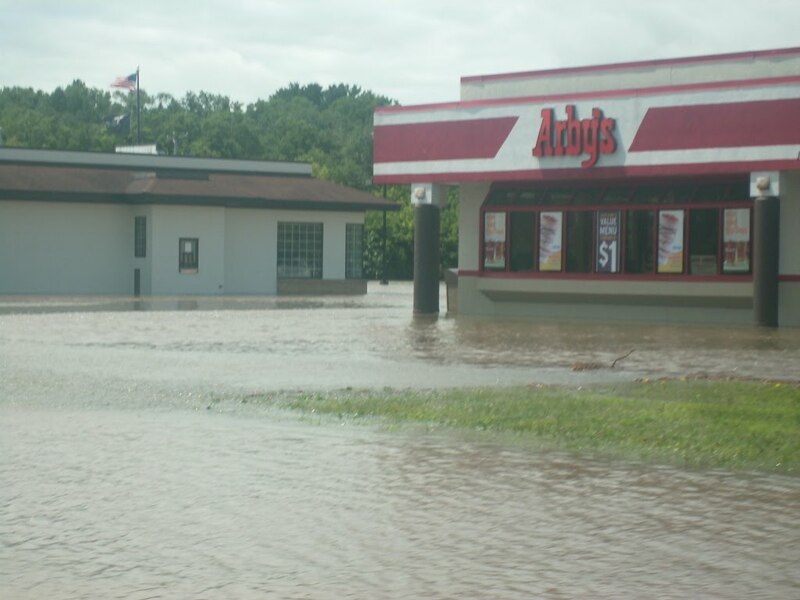 Clean up efforts will continue for the next several weeks as record rainfall fell across much of northern Illinois and southern Wisconsin. Thankfully we've got a couple dry days before our next rain chance mid-week. 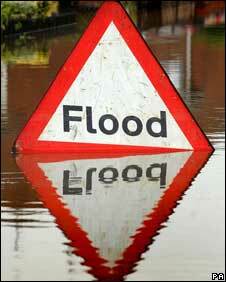 For the latest information on area rivers click here. Flood weary residents of northern Illinois have good news the next couple of days. High pressure from the northern plains will slide slowly across the upper midwest on Monday and Tuesday. The week will turn out to be warmer than avverage. The next chance of rain will be on Tuesday night. Scattered showers and thunderstorms will continue through Wednesday, but they are not expected to be heavy, and many areas may not get any rain at all. A weak cool front will bring an end to the thunderstorms Wednesday night. The rest of the week into next weekend is expected to by dry with lots of sunshine and seasonable temperatures. 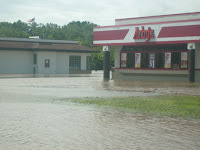 These photos were from Erik along business 20 just east of Freeport! Thanks Erik for your photos! 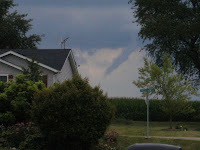 These next pictures were taken from Bill and Becky Reuber who live in Freeport. This is along Rt. 26 heading south of town. Amazing to see just how high the water is to the buildings! Thanks Bill and Becky for sending in your photos! These pictures were taken from Beth Nagel who lives in Shannon. The first one is of S. Bolton Road - which was closed at S. Bolton and Becker School Roads. The second one is of a pasture that was flooded and the third of a corn field that was located next to a creek. If you look real closely...you'll be able to see that only the tassels of the corn are showing! The corn is about 10 feet tall!! Thanks Beth for sending in your photos! Flooding continues to block many roads across the Stateline tonight so the FLOOD WARNING has been contiunued for southwestern Boone, northern DeKalb, Ogle, Winnebago, and Stephenson Counties until 10 am on Sunday morning. River flood warnings for the Rock, Pecatonica, Sugar, and Kiswaukee rivers will remain in effect until further notice. Most of those rivers will be in moderate to major flooding conditions for the next few days. The good news is that a front is pushing all the tropical moisture off to the east, and the Stateline will finally get a breather from all the rain for a few days. Skies will be mostly sunny on Sunday under the influence of a mild high pressure area moving into our area from the norther plains. It will be seasonable with highs in the low 80's, but it will be less humid. It will be mostly clear and cooler on Sunday night, and the air conditioners will get a break as the temperature drops to near 60 degrees by daybreak. Sunshine will be with us again on Monday, and it will continue to be comfortable. Tuesday will be warmer and more humid again under partly cloudy skies, and by Tuesday night there could be a scattering of showers and thunderstorms back across northern Illinois. Scattered showers and thunderstorms will continued to be a possibility off and on through Friday. 6:30am: Rain is now beginning to move out of the area and will continue to do so through the morning. Several reports of flooded roadways and water rescues have been received. Flash Flood Warnings remain in effect for Jo Daviess, Stephenson, Carroll, Winnebago, Ogle, Boone, DeKalb and McHenry counties. If you encounter a flooded roadway, remember TURN AROUND. It doesn't take much water to sweep your vehicle away. 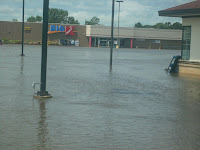 If you have any photos of the flooding, you can email them to weather@wtvo.com or Newsroom@wtvo.com. 1:00 am Update: Flash Flood Warnings have been issued until 8 am Saturday morning for Winnebago, Boone, Ogle, DeKalb and McHenry counties. Rainfall rates of up to 2 inches per hour can be expected with these storms. This could be a ver dangerous situation, especially for folks that have already seen several inches of rain from Friday morning and who live in flood prone areas. Storms in northern Iowa will continue to drift east and affect parts of northern Illinois/southern Wisconsin through the overnight hours into Saturday morning. Please watch the weather situation very closely! And some places saw additional rains this afternoon and evening. Severe Thunderstorm Watch has been issued for all of Northern Illinois until 9 pm this evening. Storms continue to move east this evening through Lee and DeKalb counties, while more storms continue to form just off to the west. Heavy rain will once again be a concern as the low level jet begins to kick in late this evening and overnight. This could be a big problem for areas that have already picked up on several inches of rain from the storms this morning. Skies continue to clear this afternoon as the instability begins to rise across the Great Lakes. Boundaries that have been leftover from the rainfall this morning will likely be the trigger to get storms going late this afternoon and into the evening. Storms are already beginning to form across south-central Iowa and will continue to drift northeast. We'll watch as these storms progress with the main threat being damaging winds. Chief Meteorologist Ty Shesky will continue to keep you updated through the afternoon. (11:40:16 AM) nwsbot: DVN: Freeport [Stephenson Co, IL] trained spotter reports FLOOD at 11:30 AM CDT -- highway 26 just south of freeport closed due to water over road. (10:50:02 AM) nwsbot: DVN: Pearl City [Stephenson Co, IL] trained spotter reports FLASH FLOOD at 10:49 AM CDT -- 8 inches of flowing water acros route 73...road closed near pearl city. 9:45 am Update: Rain continues to move to the east with a little break occuring over the western parts of the viewing area. Getting some very impressive totals so far this morning, with the heaviest out west and southwest. The rain will eventually begin to tapper off through the late morning/early afternoon hours as skies are clearing just to the southwest. Conditions will need to be monitored through the afternoon for the potential for storms to redevelop with the rising dew points expected and outflow boundaries. Be sure to keep checking back as we will get an update for you around the noon hour and also into the afternoon. (10:14:54 AM) nwsbot: DVN: Shannon [Carroll Co, IL] emergency mngr reports FLASH FLOOD at 10:05 AM CDT -- several roads across carroll county are closed due to flash flooding...especially across the northern half. 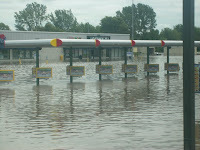 the shannon area received upwards of 8 inches of rain overnight. sludge pumps were being transported to shannon to assist in that area. flooding was observed in areas that never had seen flooding before. the milledgeville area received 2.5 to 3 inches of rain. 9:56:29 AM) nwsbot: DVN: 3 Nnw Thomson [Carroll Co, IL] nws employee reports HEAVY RAIN of M3.50 INCH at 09:55 AM CDT -- 24 hour total. (9:57:39 AM) nwsbot: DVN: Chadwick [Carroll Co, IL] trained spotter reports HEAVY RAIN of E4.80 INCH at 09:56 AM CDT -- 12 hour total. (9:48:18 AM) nwsbot: DVN: Elizabeth [Jo Daviess Co, IL] trained spotter reports FLASH FLOOD at 09:40 AM CDT -- fire department now conducting a water rescue. 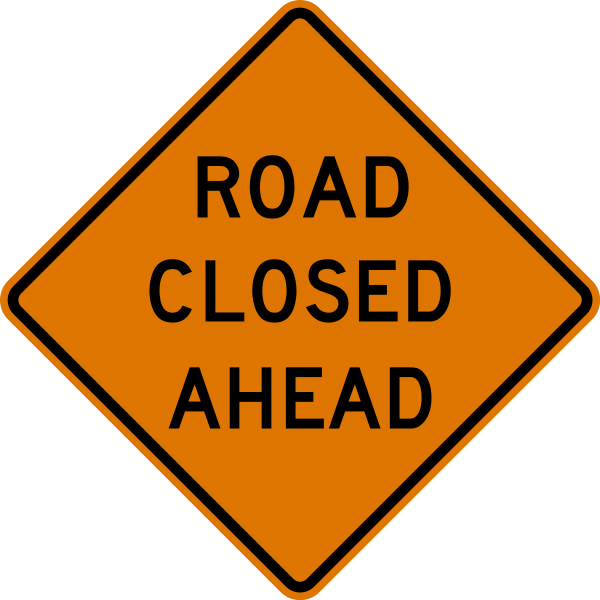 several roads remain closed due to flooding. earlier today...highway 20 was closed with water going across it. (7:42:09 AM) nwsbot: DVN: Mount Carroll [Carroll Co, IL] trained spotter reports HEAVY RAIN of M3.60 INCH at 07:40 AM CDT -- 24 hour total. (7:38:08 AM) nwsbot: DVN: 1 Ene Shannon [Carroll Co, IL] trained spotter reports HEAVY RAIN of M6.34 INCH at 07:37 AM CDT -- rainfall amount since midnight. The top image is radar estimated storm totals - showing a swath of rain around Freeport and points west/northwest along highway 20. 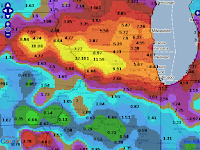 Tony just west of Freeport - storm total so far of 5.56"
(6:49:34 AM) nwsbot: DVN: Stockton [Jo Daviess Co, IL] co-op observer reports HEAVY RAIN of M7.12 INCH at 06:45 AM CDT -- 24 hour total. total since 930 pm last night was 6.12 inches. area ditches full with water right up to the road in places. (6:45:54 AM) nwsbot: DVN: 1 E Freeport [Stephenson Co, IL] trained spotter reports HEAVY RAIN of M5.10 INCH at 06:44 AM CDT -- spotter also reported street flooding in the area. rain is till falling. (6:39:52 AM) nwsbot: DVN: Elizabeth [Jo Daviess Co, IL] co-op observer reports HEAVY RAIN of M7.60 INCH at 06:37 AM CDT -- observer reports water coming up and out of the man hole covers in the street. 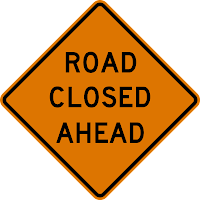 also reported lone street and apple river road are impassable due to water. rain is still falling. (6:38:12 AM) nwsbot: DVN: Galena [Jo Daviess Co, IL] co-op observer reports HEAVY RAIN of M6.46 INCH at 06:36 AM CDT -- 24 hour total. (6:11:41 AM) nwsbot: DVN: Ese Elizabeth [Jo Daviess Co, IL] trained spotter reports FLASH FLOOD at 06:09 AM CDT -- apple river out of bank due to flash flooding. over 6 inches of rain observed...as garden rain gauge was overtopped. heavy rain occuring. (5:58:38 AM) nwsbot: DVN: 3 E Freeport [Stephenson Co, IL] trained spotter reports FLASH FLOOD at 05:55 AM CDT -- several roads in town completely covered in water. in vicitiny of taylor park district and near rt 75. DVN: Pearl City [Stephenson Co, IL] emergency mngr reports FLASH FLOOD at 04:05 AM CDT -- several homes in pearl city are flooded. some on the north side of town as high as the first floor level. flood waters have blown off some manhole covers. DVN: 5 Sse Council Hill [Jo Daviess Co, IL] trained spotter reports HEAVY RAIN of M4.64 INCH at 03:50 AM CDT -- since last evening. 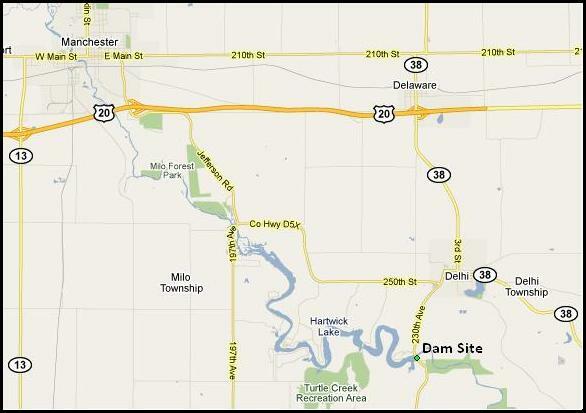 DVN: Galena [Jo Daviess Co, IL] law enforcement reports FLASH FLOOD at 03:15 AM CDT -- water over highway 20 near galena. DVN: East Dubuque [Jo Daviess Co, IL] law enforcement reports FLASH FLOOD at 03:15 AM CDT -- water over highway 35 outside of east dubuque. DVN: 4 Wnw Dubuque [Dubuque Co, IA] trained spotter reports HEAVY RAIN of M4.50 INCH at 02:23 AM CDT -- 6.5 inches in past 24 hours. still raining. Heavy rain will continue to fall across parts of northern Illinois through the morning hours. Flooding will be the main concern with these storms as the severe threat has pretty much diminished. We've already seen reports of up to 4" of rain around the Freeport area. A Flash Flood Warning remains in effet until 7:45 am for Stephenson and Jo Daviess Counties. Storms are pretty much stationary along highway 20 with doppler estimates of 2"-4" of rainfall. Street flooding has been reported in Freeport early this morning. Remember - do not attempt to cross a flooded roadway! 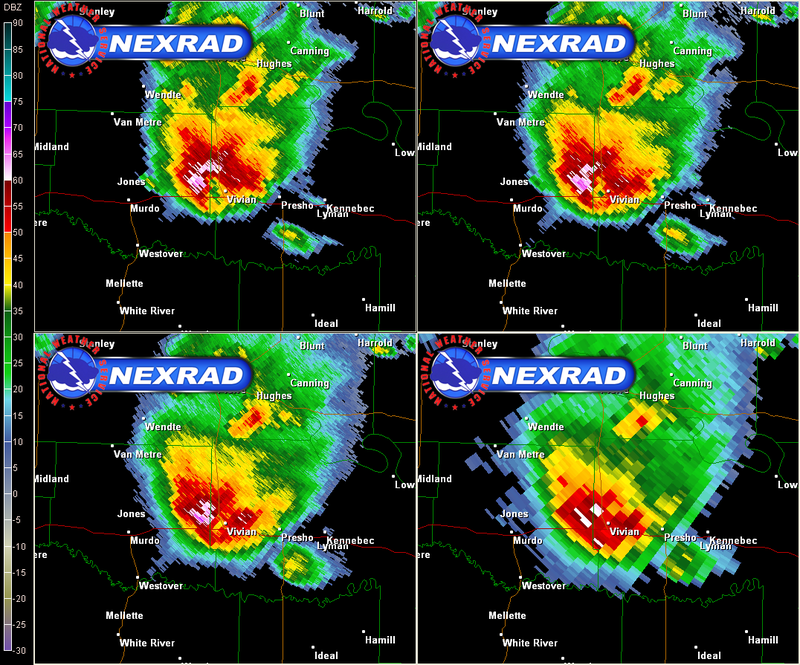 WINNEBAGO AROUND 1155 PM CDT. STILLMAN VALLEY AROUND 1205 AM CDT. ROCKFORD AIRPORT AND ROCKFORD AROUND 1210 AM CDT. CHERRY VALLEY AROUND 1220 AM CDT. KIRKLAND AROUND 1230 AM CDT. Rockton: 50mph wind gust at 9:43pm. Some branches down. 1W Rock Grove: Many 6-8" trees down at 9:28pm. Rock City: 20" live tree down on Dakota Rd. at about 9:33pm. 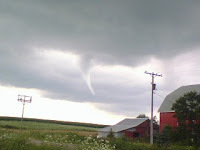 3NW Edgerton, WI: Brief tornado touchdown at 5:30pm. 1NNW Janesville: Estimated 3" of rain at 9:35pm. Severe Thunderstorm Watch for Stephenson, Jo Daviess and Carroll counties until 10pm tonight. Storms continue to fire in Wisconsin along the warm front where a tornado warning has been issued for northern Green county. Southern Wisconsin is under a Tornado Watch. Storms in northern Iowa will continue to drift off to the east/southeast through the late evening across northern Illinois. The tropical wave that has been out in the Atlantic for the past couple of days has now developed a little circulation and enough organized convection for the National Hurricane Center to classify it as Tropical Depression #3. The general motion of the cyclone is west/northwest over the next couple of days taking it across the Florida Straits and the Keys before moving into the Gulf of Mexico. A Tropical Storm Warning has been issued for the central and northwestern Bahamas, the Florida East Coast including the Florida Keys, Florida Bay and along the west coast northward to Bonita Beach. A Tropical Storm Watch has been issued along the east coast of Florida north of Golden Beach to Jupiter Inlet to Lake Okeechobee. Rain continues to move to the northeast as skies begin to clear across parts of southern Iowa. The warm front is pretty much right over northern Illinois and will continue to lift to the north through the afternoon. Dew points are quickly rising into the mid 70s south of the front while a weak area of low pressure sits just to the northwest across northern Iowa. The big question is how thunderstorms will begin to develop this afternoon. With the warm front moving northward any little disturbance that moves along it will stay to the north keeping storm activity through Wisconsin. However, the one thing that would bring storms into our neck of the woods later this afternoon would be the fact that the dew points are rising into the mid 70s. That could provide the instability we need to get things going. And if it does gusty storms would be likely. But...with the warm air coming in it could also act as a lid on the atmosphere and prevent any further storm development. I know I've said this before, but this is going to be an afternoon where it's either going to happen or it's not. Keep checking back and we'll continue to update things as we see them throughout the afternoon. DVN: Galena [Jo Daviess Co, IL] co-op observer reports HEAVY RAIN of M0.92 INCH at 08:15 AM CDT -- rainfall since 7am. DVN: 4 Wnw Dubuque [Dubuque Co, IA] trained spotter reports HEAVY RAIN of M1.10 INCH at 06:58 AM CDT -- total so far. Rain continues to move across the Stateline this morning with a few heavier bursts being noted. The storm complex will continue to move to the east/northeast through the morning hours with heavy rain expected in some locations. Once this clears later this morning, any little outflow boundaries leftover could interact with a warm front moving through and help to produce some stronger storms later this afternoon. The Storm Prediction Center does have us under a slight risk for severe weather so we'll watch how things progress through the afternoon. Be sure to keep checking back for the latest updates. The warmth has been in full supply this month, but we surely have been lacking in the rainfall department. During the month of June we were actually at a surplus of over an inch, 1.33" to be exact. Now in July we've almost fallen to 2" below our monthly average. While today should remain dry, our next chance for rain will come tomorrow and into the first part of the weekend. Lets hope this one will do it for us! Eyes have once again turned to the Atlantic as a pretty strong tropical wave moves through the eastern Dominican Republic. While there is no apparent closed circulation with this system, it will begin to move into more of a favorable environment for tropical storm development during the next day or so. Unfortunately, if this system does develop any further current model tracks begin to take it into the Gulf of Mexico and along the southern gulf states. Patchy dense fog can be expected across north-central Illinois through mid-morning. There are a few spots where visibility has been reduced to less than a quarter of a mile. Rapid changes in visibility can be expected over a short distance of time. Drive safely this morning. The weather will gradually improve with mostly cloudy skies expected through the remainder of the day. Interesting scenerio playing out this morning with the storms that are currently moving through southern Iowa. Stationary boundary remains to the south of the Stateline stretching through southern Iowa and central Illinois. This is where a lot of the instability has been confined to so far this morning. Storms will continue to intensify and move east/southeast through mid-morning. For most of us, the morning hours will remain dry although an isolated afternoon storm can't be ruled out. Now for the interesting part. We'll have to see how any outflow boundaries from the storms this morning interact with the stationary front. They may actually keep the front from moving north later today. If that's the case and the front remains to the south, any storm development later this afternoon and evening will likely follow that and bypass some of the Stateline....leaving us high and dry once again. We all know we sure could use the rain. Although we do have plenty of chances to pick up on some rain as the week progresses. We are still under a slight risk for the evening, but that risk has been shifted a little further to the south since earlier this morning. We'll continue to monitor things in the weather center and be sure to keep you updated if anything changes. What appeared to be almost certain event last night, failed to produce more that 0.01" of rain as the system moved through the Greater Rockford area. 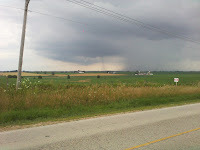 Severe weather ocurred to the north, to the northwest, to the west, to the southwest, and to the east, and the front went through the Stateline with just a sprinkle. It did heat up, though, and the airport reached 90 degrees again this afternoon. The front pushed across northern Illinois this afternoon. It will stall out over central Illinois tonight, and then become a factor in our weather for the rest of the week as is moves very slowly northward with disturbances moving along it from time to time. There will be a chance of showers and thunderstorms on Monday afternoon. Showers and storms will be likely on Monday night with locally heavy rain possible with a thunderstorm complex that will fire up over western Iowa in the supper hour, and then move eastward straddling the stationary front stretching across central Illinois just to the south of Interstate 80. The complex is expected to be large enough that it will reach as far north at the Wisconsin stateline covering most of northern Illinois. Showers and thunderstorms are expected to linger into the morning hours on Tuesday as the disturbance moves off to the east. The front will still be in place, and will serve as a focal point for episodic showers and thunderstorms for the rest of the week. It is difficult to time the events, but it appears as if chances of showers and thunderstorms will be most likely to start firing, and become more numerous in the afternoon and evening hours through Friday. The best chance of storms, though, will be later at night with nocturnal thunderstorm complexes associated with disturbances riding eastward out of the plains along the stationary front, and through the area in the overnight hours. Late in the week a cool front will push eastward out of the plains, and across the midwest ending the thunderstorm threat for the weekend as high pressure moves into northern Wisconsin by Sunday morning. As far as temperatures for the upcoming week are concerned, we can continue to expect above normal temps with highs in the middle to upper 80's from Wednesday through next Sunday. Lows at night will be in the upper 60's to around 70 degrees. A cool front is advancing across the plains this evening. Strong thunderstorms developed this afternoon over the northern plains in advance of the front. Our region was very warm once again on Saturday with afternoon temperatures reaching above 90 degrees. It was not as humid as expected, and the dew points dropped into the upper 50's to mid 60's this afternoon as drier air from aloft mixed down to the surface. This drier air will tend to lessen the chance of thunderstorms from developing until later tonight as the cool front to the west gets closer, and a moist tongue of moisture in advance of the front causes our dew points to rise. As of 11 pm Saturday night the moist tougue of air with 70+ dew points covers all of Iowa as far east as the Mississippi River. This higher dew point air is expected to continue to encourage the development of strong thunderstorms as the complex moves southeast across northern Iowa into southwestern Wisconsin, and eventually northwestern Illinois later tonight. But by the time they reach north central Illinois, the storms are expected to be in a weakening phase. A lot is dependent on how moist our air becomes. There is a good chance of thunderstorms on Sunday as the cool front slides slowly through the area. The front will move off to the southeast tomorrow afternoon allowing drier air to move into the Stateline on Sunday night. Weak high pressure will keep the area dry on Monday. The next disturbance to affect the area will be approaching on Monday night bringing chances of thunderstorms back to northern Illinois. A quasi-stationary front will linger nearby for most of the rest of the week across the area. The Stateline will be situated on the northern fringe of a massive hot air dome to our south, and we will be on the southern edge of the westerly winds. Disturbances will move through from time to time next week causing thunderstorm complexes to develop on a daily basis from Monday night through next Saturday. The thunderstorm clusters are called mesoscale convective complexes, and the best chances for storms in the Stateline will be at night. Hence, the name nocturnal thunderstorms. There is the potential for some areas to get significant rainfall in the coming week. Many areas have received substantial rainfall in recent days. That is not the case around Rockford. Rockford is running a deficit of more than a inch and a half for the month of July. So we could use some good rains here in the Rockford area. Next week temperatures will continue to run above normal. Enjoy the summer weather. Fall will be here before you know it. Have a great Sunday. Heat will continue to build in the Plains and out west this weekend with temperatures soaring into the mid and upper 90s. That heat will begin to shift east next week as the jetstream begins to build a little further north into the Great Lakes. This will allow temperatures in our neck of the woods to stay in the upper 80s and low 90s (especially towards the end of next week). Storms next week will track across the middle of the U.S. into the Great Lakes along the outer edge of the hot air. This will give us pretty much daily storm chances...likely at night...straight through the end of the week. The 92° we hit Wednesday is just the beginning of what looks to be a prolonged period of warmth. Average high temperatures this time in July should sit in the low 80s. Highs this week and into next week are expected to sit in the upper 80s and possibly hit the 90s once again. The ridge of high pressure in the south will stay put, keeping the jetstream to the north. The 6-10 Day Outlook from the Climate Prediction Center has much of U.S. sitting above average towards the middle of next week. Looking even further towards the end of July and temperatures appear to still remain above average. First 90 degree day this summer! Storm threat will be high to our north this afternoon as an area of low pressure moves across the U.S. and Canadian border. Storms currently moving through Minnesota will continue into northern Wisconsin and intensify as they do. With the upper level winds centered over the northern Great Lakes and a cold front coming through, the Storm Prediction Center has highlighted much of Wisconsin in a moderate risk for severe weather this afternoon. While the tornado and hail threat will be high the greatest threat will be the wind. The cold front will stay to the west through much of the day so we'll just be dealing with the heat and humidity. Later this evening we'll have to see how these storms hold together because a few stronger ones could move through overnight. Storm threat will continue into Thursday afternoon before clearing the Stateline Thursday night. A Heat Advisory has been issued for Rock and Green counties in southern Wisconsin and Stephenson, Jo Daviess, Carroll and Whiteside counties in Illinois. Temperatures today are expected to soar into the upper 80s and low 90s. That combined with dew point readings in the mid 70s will make it feel more like the upper 90s. We all know the drill - drink plenty of fluids, wear light colored clothing and just take it easy today! Temperatures will continue in the upper 80s through the weekend. The July 1995 heat wave in Chicago was on of the worst weather-related disasters in Illinois history with roughly 525 deaths over a 5-day period! The really hot weather occurred between July 12th and 16th where temperatures rose into the upper 90s and low 100s! The 106° set the record for the warmest July temperature since records began at Midway Airport in 1928 (Jim Angel - State Climatologist Illinois State Water Survey). Not only were daytime temperatures hot, nighttime lows only reached the low to mid 80s both the 13th and 14th. An upper level ridge developed over the southwestern parts of the United States earlier that week and resulted in rising temperatures through the Plains. Over the next couple of days the ridge, with the heat, shifted eastward over the eastern half of the U.S. The ridge, combined dew points in the upper 70s and low 80s, helped create heat index values well into the 100s! Another contributing factor to the heat wave was the "urban heat island" effect. This is caused by the high number of buildings, pavement, parking lots, etc that are found in urban areas, which tend to absorb more heat during the daytime and radiate more heat at night. This causes less cooling during the overnight keeping lows fairly high. Thankfully our little mini heat wave will be nothing compared to this the next couple of days! Earlier this evening a tornado warning had been issued for northeastern Stephenson county. 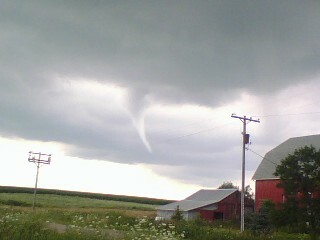 Many funnels were reported with the storm that moved through. 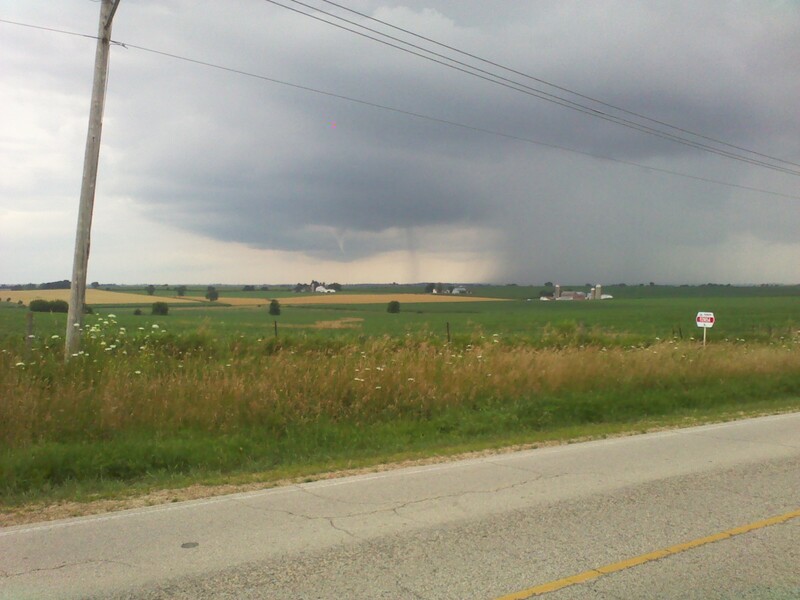 This picture was taken just outside of Davis in Orangeville! 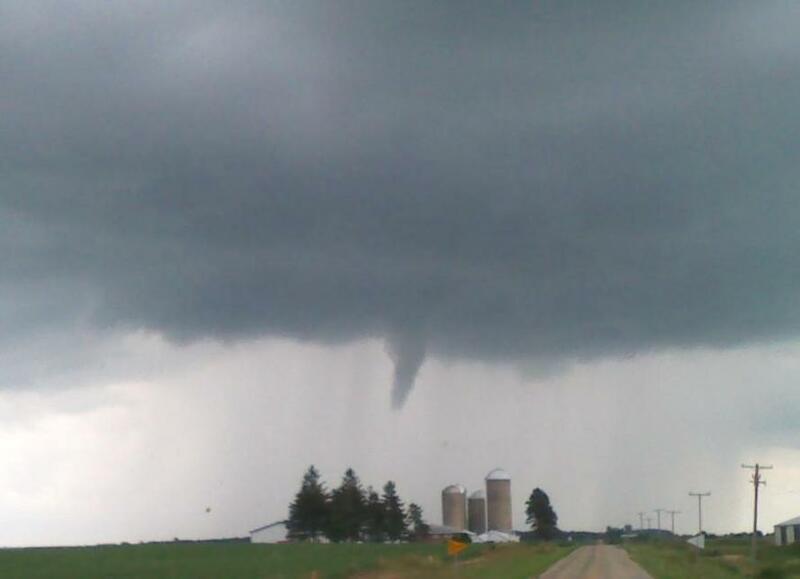 This one was northwest of Davis on Springbrook Rd! These pictures were taken near Rock Grove. Thanks to Joey Anzelone and Darren Klinger of Lake Summerset!